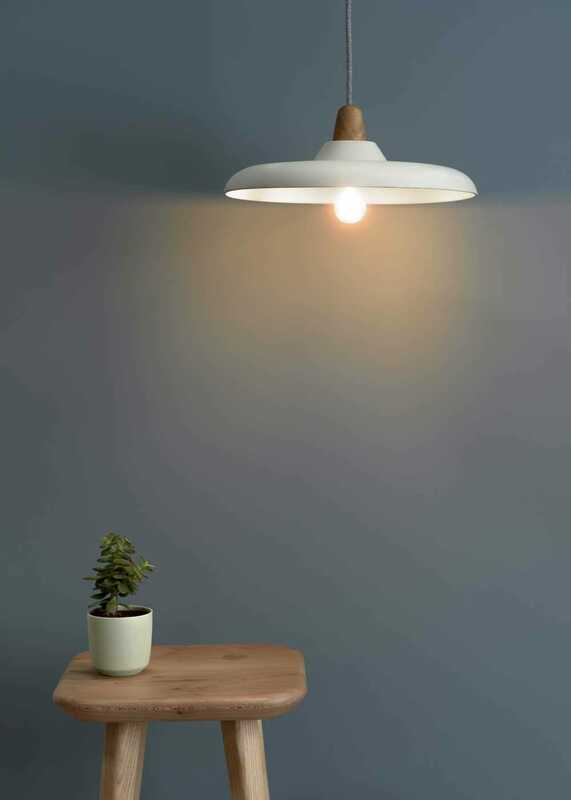 Studio Haran is a furniture and lighting brand that takes a handcrafted approach to production with innovative design and sustainability at their core. 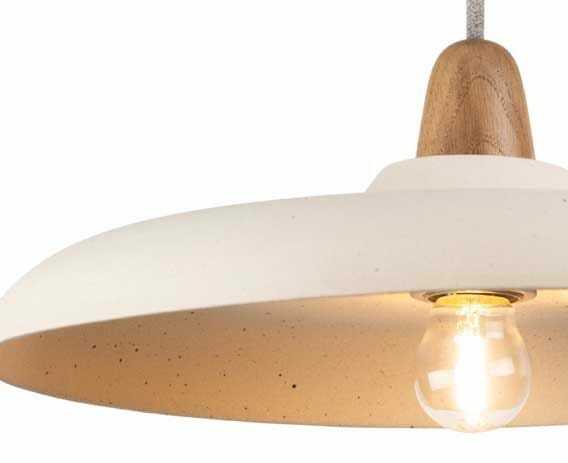 Founders Joel and Helena collaborate using their individual specialisms of slip casting and woodwork, creating a truly unique design studio in the heart of Cornwall. 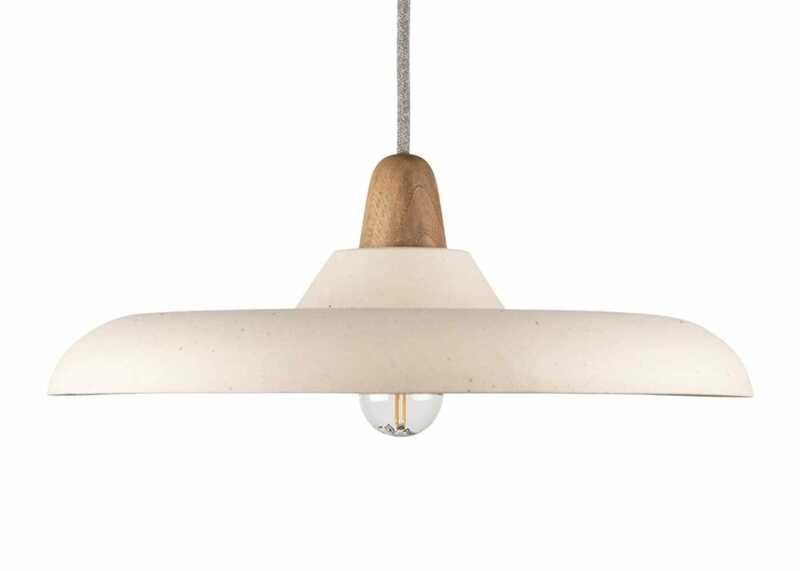 Bas, meaning shallow in Cornish, is a pendant inspired by the numerous wide and shallow rock pools which emerge at low tide on Cornwall's beaches. 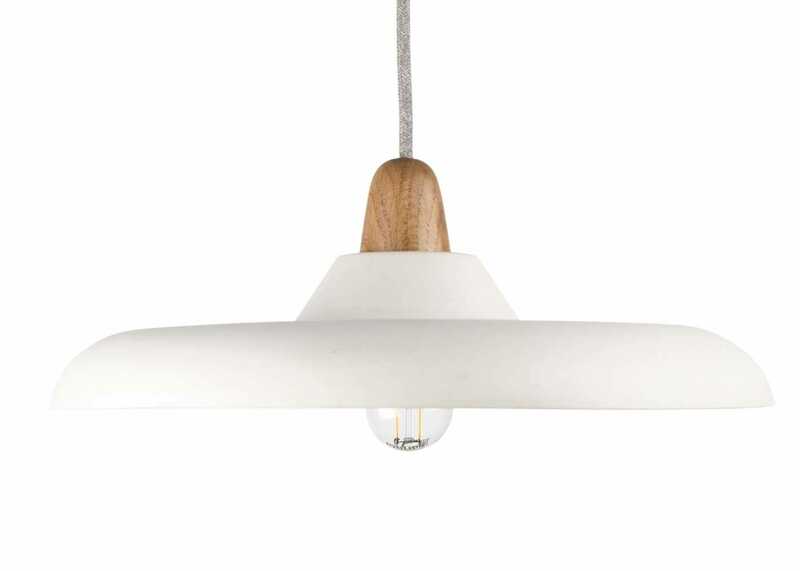 It's striking form and muted palette make this pendant an alluring centrepiece. 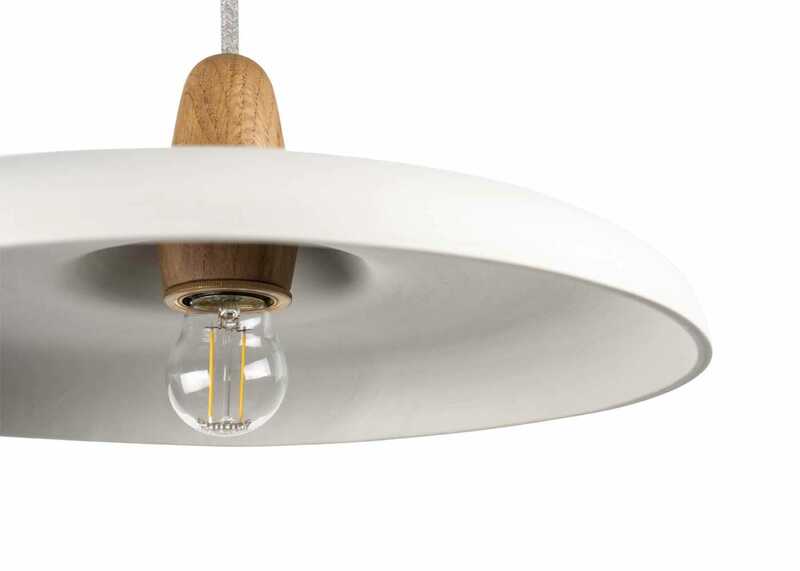 A hand turned Oak cap emerges through the slip cast ceramic shade allowing light to spread abundantly. 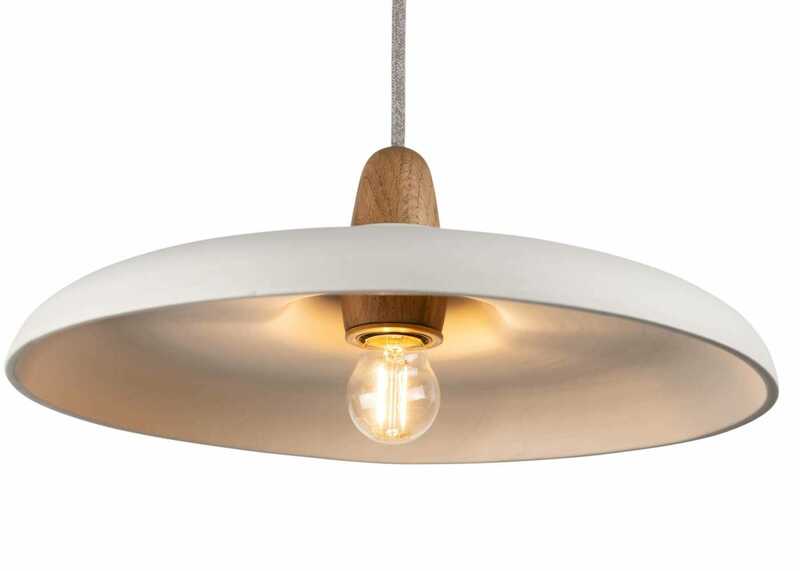 A solid brass E27 fitting and ceiling rose exude quality and are joined by the finest Italian grey linen cord. 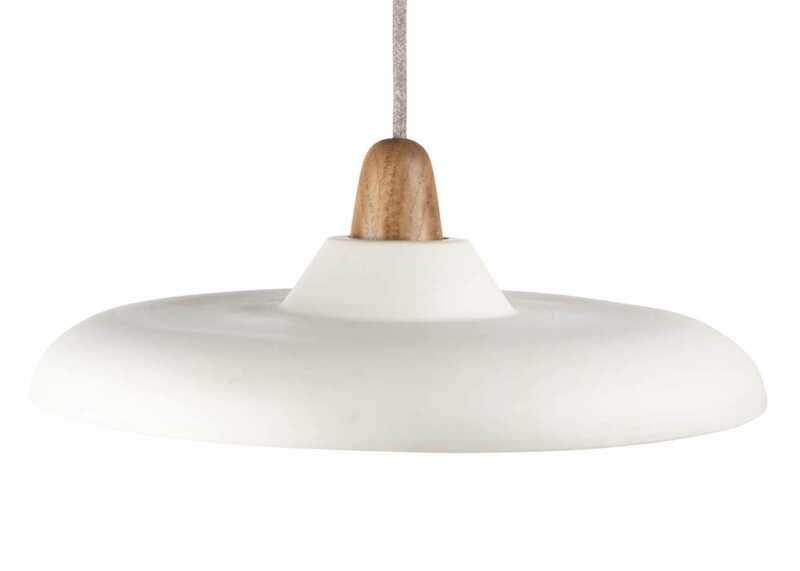 The pendant will hang beautifully in a hallway, living room, bedroom or above a dining table in a set of three. Slip cast English earthenware Clay pendant. 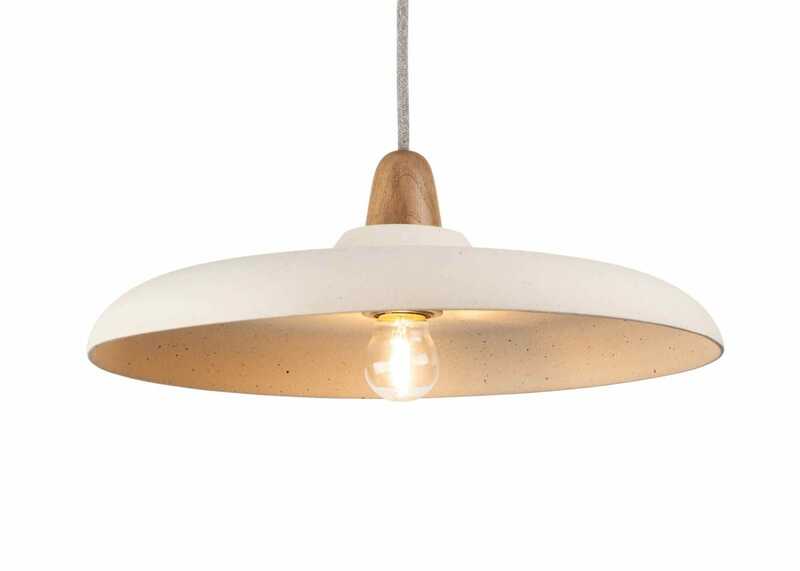 The ceramic pendant has a smooth finish complimenting the contemporary colour scheme.